A more useful approach is to build our capacity to observe our thoughts and then choose which thoughts to act on and which ones to just let play in the background. To get some space between ourselves and the endless stream of thoughts our minds come up with. The more skilful we can become at observing rather than acting on our thoughts, the more freedom we have to take actions that create the outcomes that are important to us. 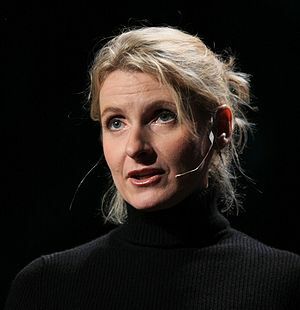 In this beautiful TED talk, Elizabeth Gilbert, (author of ‘Eat, Pray, Love‘) explores the strategies she used to get some distance from thoughts that were plaguing her that her ‘greatest creative success was behind her’ and ‘creativity is inherently linked to anguish’. ‘You look at it even from half an inch away’. It is in that space. The space between you and your thoughts, even if it is only half an inch, that freedom can be found*. When that space is available to you during your next feedback conversation, you can be present with the other person. You can really notice their responses. You can observe your own behaviour and shift it from moment to moment as you see what is and isn’t working. And in the background your mind is gabbling away – ‘She is going to hate me’; ‘This is going terribly’; ‘I hope I can get out of here soon’; ‘What if she puts in a bullying complaint against me’ and having those thoughts is okay because it is just your mind doing what minds do and you don’t have to pay it a lot of attention. Next Post Who runs your life? Should be Elizabeth Gilbert not David under that photo. Although Liz would be flattered to know that she might be confused with such a master chef!